A police corruption drama, Cop Land builds from a simmer to a boil, driven by the riveting story of a community of cops living under the shadow of malfeasance, and brought to life by a superlative cast. The small town of Garrison, New Jersey, located just across the Hudson River from New York City, is a hamlet almost singularly occupied by New York cops. Rumours suggest that Lt. Ray Donlan (Harvey Keitel) brokered a deal with the mob to secure low-interest mortgages for police officers, creating a safe community for officers to raise their families, in return for turning a blind eye to the mob's ties with high-level New York politicians. Garrison's local sheriff Freddy Heflin (Sylvester Stallone) is a lumbering, overweight man, happy to let Ray and his men dominate the town. Garrison's cozy arrangement is threatened when Officer Murray "Superboy" Babitch (Michael Rapaport), Ray's nephew, tangles with a group of thugs, resulting in a car full of unarmed dead bodies on the George Washington Bridge. Ray stages Superboy's fake suicide to avoid the heat of an investigation. 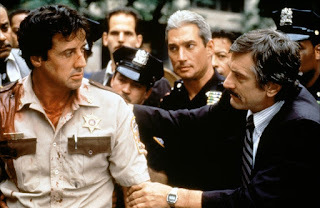 But the case anyway attracts the attention of internal affairs officer Lt. Moe Tilden (Robert De Niro), who has been investigating Ray's connections to organized crime for a long time. 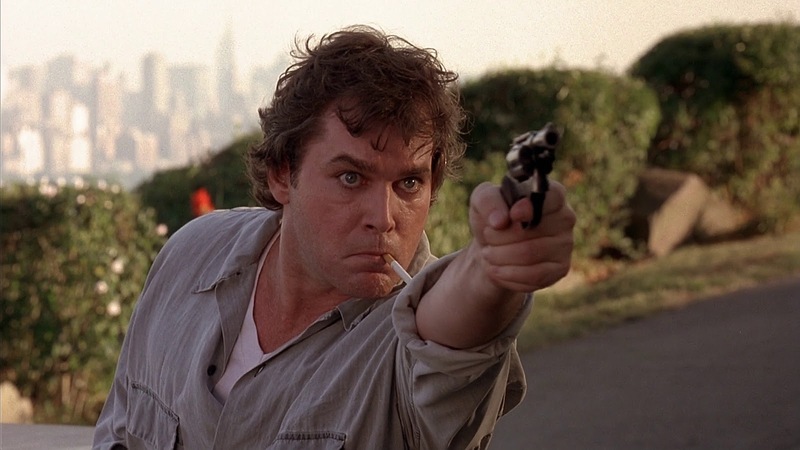 Moe tries to spur Freddy into doing his job, while undercover officer Gary Figgis (Ray Liotta) grows tired of Ray's conniving. When Superboy slips away from Ray's control and threatens to expose the hoax of his suicide, an awkward situation turns decidedly dangerous for the town of Garrison. Written and directed by James Mangold, Cop Land is a dense, sweaty and irresistible drama. The premise of a town full of cops living on the edge of corruption and under the disinterested watch of a damaged sheriff presents a new twist on High Noon: in Garrison, all the bad guys have already arrived and settled in for the long haul. It's the wait for the emergence of the unlikely hero that causes all the tension. Mangold's main achievement is in avoiding bloat. In a movie filled with a large number of entangled characters, complex motivations and opaque personal connections, Mangold delivers Cop Land in an efficient 104 minutes. Every scene counts and runs for just the right length. The film starts with the carnage on the bridge, and the character introductions run in parallel with the eruption of the Superboy crisis, the film demanding an immediate level of high concentration that never flags. The fragile subtexts that tie a community together are revealed with care to create a rich tapestry of moral conflicts. As a young man Freddy lost his hearing while saving the unattainable Liz (Annabella Sciorra) from drowning. His career prospects destroyed, she completes his misery by marrying sleazeball cop Joey (Peter Berg). With Liz now preoccupied caring for young children, Joey is carrying on an affair with Ray's wife Rose (Cathy Moriarty), an indiscretion which ironically places Freddy and Ray on the same side of hating Joey. Meanwhile, undercover specialist Figgis previously lost his partner in a jailhouse death arranged by Ray to cover up the ring of corruption, causing a lingering rift between Figgis and Ray that will only get wider as the Superboy investigation places Ray's cozy mob connections in peril. 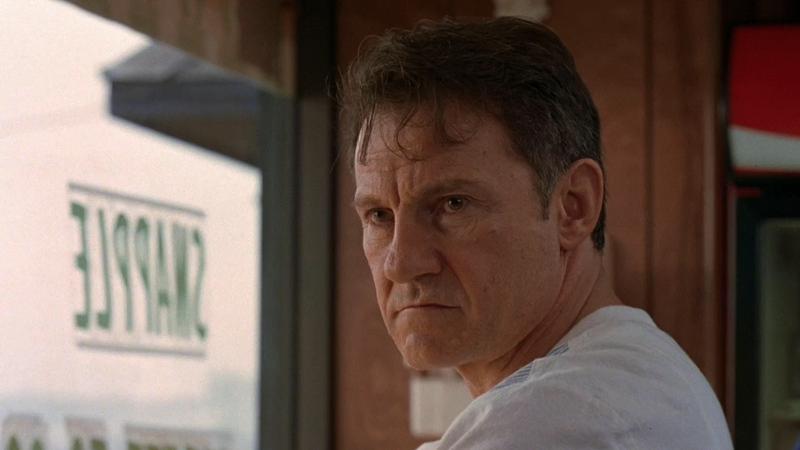 Harvey Keitel as the psychologically tyrannical Ray and Sylvester Stallone as the meek and submissive Freddy deliver some of the best work of their respective careers. Keitel finally gets a meaty starring role and attacks it with understated venom. Stallone lumbers around town in a state of surrender, overweight, unintentionally deaf in one ear but very intentionally blind to what is going on around him until De Niro's Moe Tilden nudges him towards an awakening. Ray Liotta and Robert Patrick as one of Ray's loyalists deliver cop portrayals full of on-the-edge intensity. The remarkably deep cast also includes Noah Emmerich and Janeane Garofalo as Freddy's deputy sheriffs. In Cop Land the thin lines between right and wrong have long since been erased. All that matters is loyalty to a badge, a concept that Ray has used to his advantage to create and rule over a fiefdom. It's the same concept that Freddy will need to come to terms with if he is ever to truly discover his potential as an enforcement officer.